PROPERTY OVERVIEW >> $725pw -- Price incl. Collaborative, creative and data-driven workspace devised for the social sector – opening for the first time in early 2019! A multi award-winning social enterprise is the lead tenant heading up this exciting new coworking project and they aim to change the way not-for-profits are used to getting by with second-rate equipment and facilities. 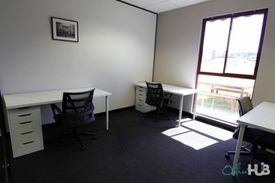 This expansive office provides coworking spaces and private offices in the heart of North Melbourne, specially devised for organisations and individuals that are dedicated to helping humanity or the environment. It offers advice, connections, training and easy-to-use tech tools to grow the social, humanitarian and environmental movement for the greater good. 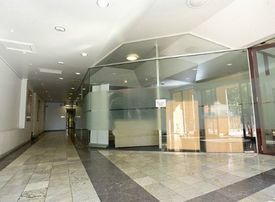 The large open office has recently been entirely refurbished and set up with reliable high-speed Wi-Fi with back-up system and new print-scan-copy facilities. 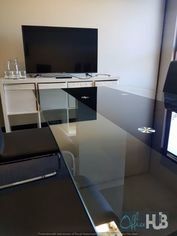 Share ideas in the collaborative areas, speak with clients in the cutting-edge meeting rooms, coach partners in the adaptable training room and take some time to yourself in the chill zones and sofa areas. Phone booths, mail handling and reception services add to the picture of coworking perfection. Beyond the extensive facilities, you can rest easy and work smarter as part of a community of hard-won social sector experience, youthful enthusiasm and conscious projects. If you’re a social enterprise, NFP, NGO, government org, university, B corporation or enlightened business, set up in this coworking space and be part of a group that aims to build stronger communities around the world. Book a tour now and take your pick of desks or offices in this stunning new office centre!